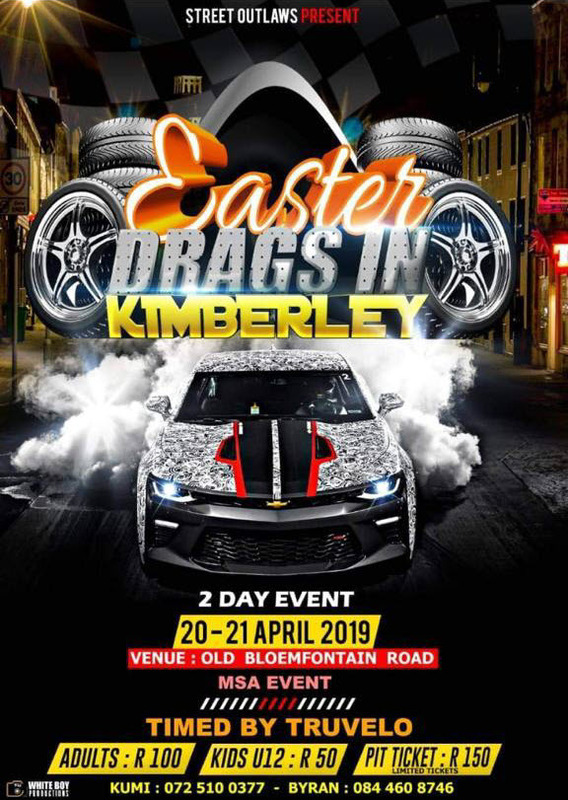 Tuner Wars Round 2 is bring another round of exciting racing for 2019! Make your mark and show your skills. ShowTime Magazine will be covering the event. 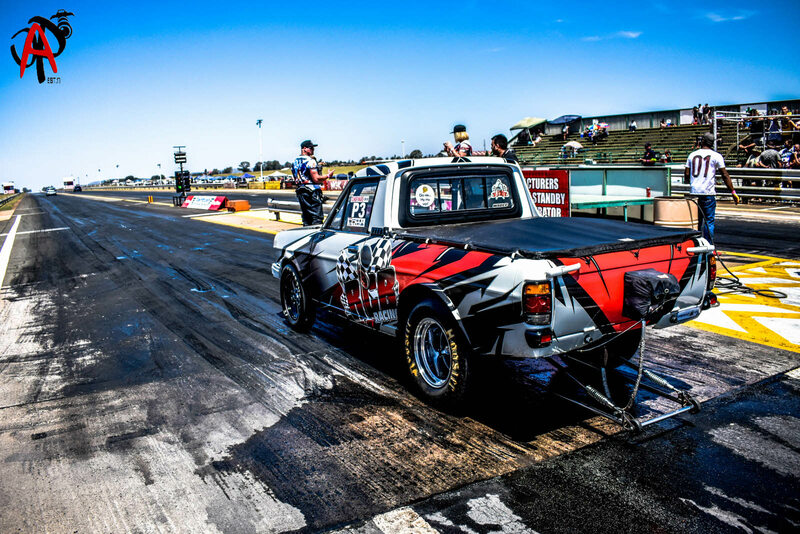 Gates open at 08:00, racing will take place from 09:00 – 17:00. Cooler boxes are welcome! Food and refreshments will also be available. 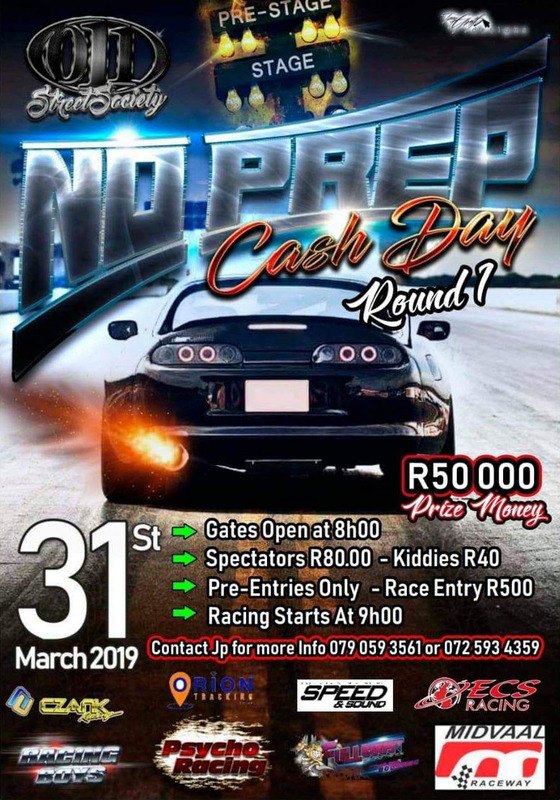 For more information contact nico@tarltonrace.com or Whatsapp 083 309 8461/9. 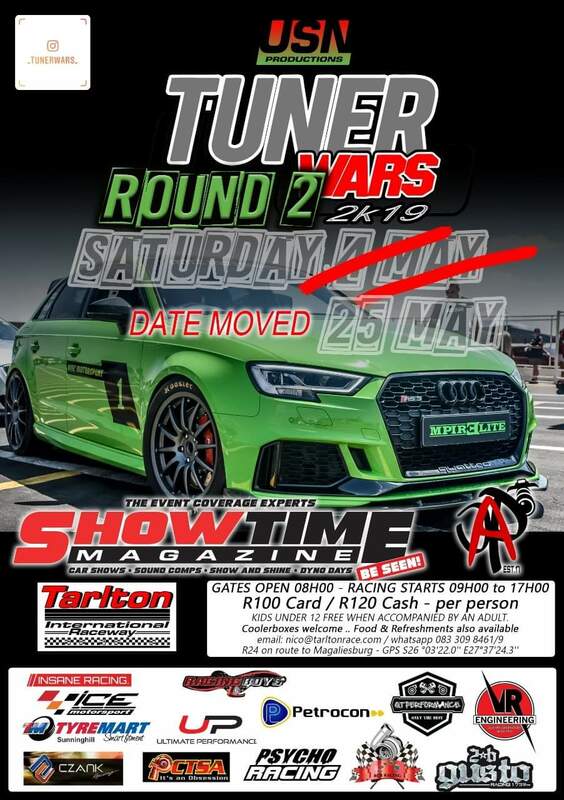 DATE MOVDED: 25 May 2019 Tuner Wars Round 2 is bring another round of exciting racing for 2019! Make your mark and show your skills.